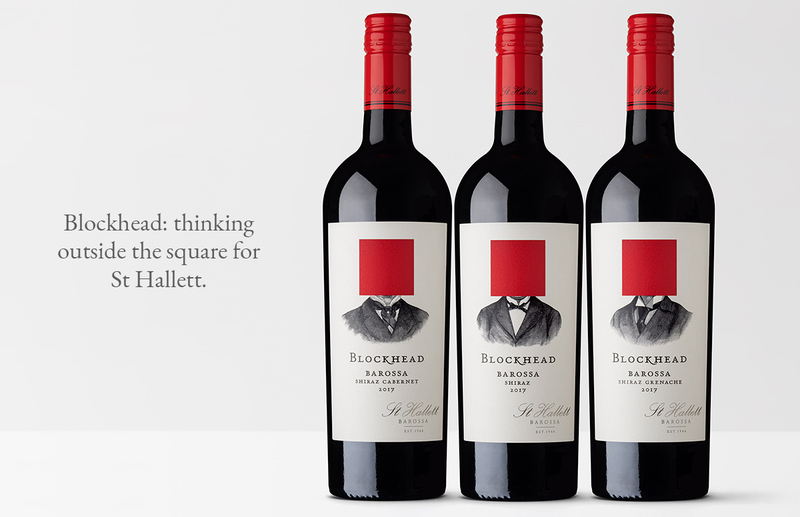 Blockhead: thinking outside the square for St Hallett. 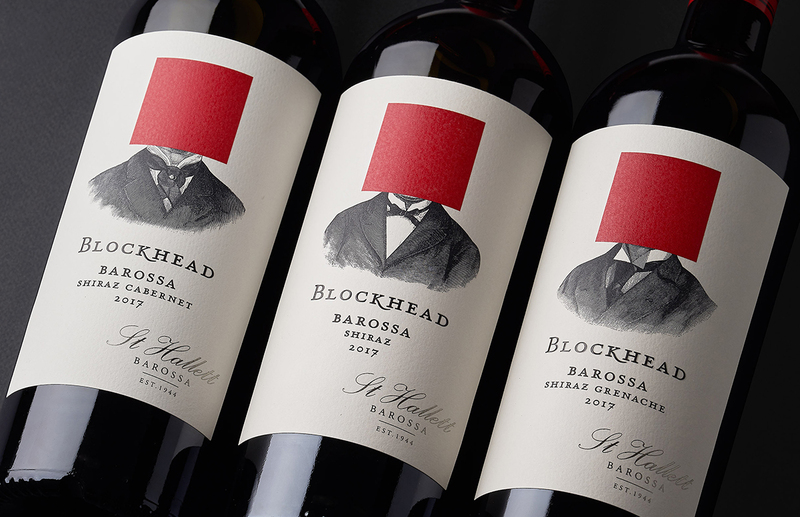 St Hallett, a classic Barossa brand, wanted to appeal to a slightly younger drinker with a new range of wines to be named ‘Blockhead’, an affectionate local moniker for Barossans. The nickname originated from the 19th century, describing the distinctive strong, square jawline of the many German settlers in the Barossa. 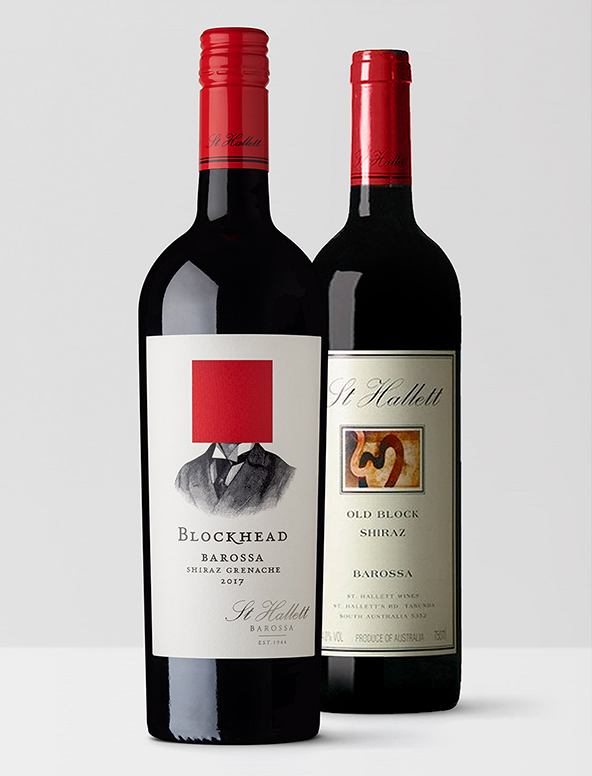 The name resonated with the client as it also related to St Hallett’s iconic ‘Old Block’ shiraz. Our challenge was how to create this more adventurous new brand but keep a clear link to St Hallett’s core range. 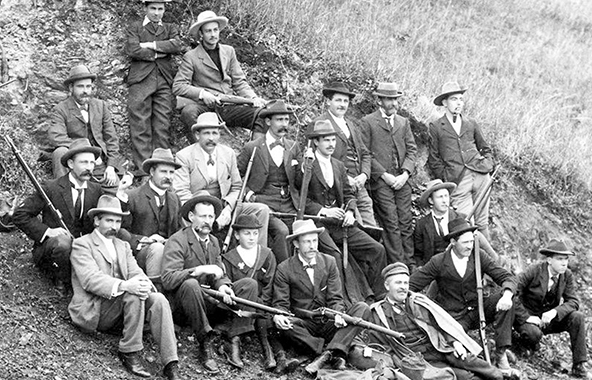 An archive photograph of ‘blockheads’ from the Library of South Australia dressed in their Sunday best was the inspiration for the brand. The distinctive painting on the St Hallet label we replaced with a red block replacing the head of a different gentleman on each wine.